(1) Our order and checkout pages are mobile device-friendly. your credit card only once for each purchase you make personally. 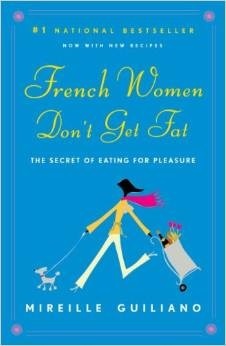 theory for French healthy life style and longevity. 3. 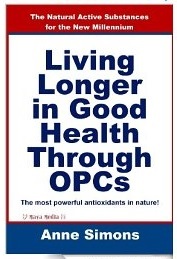 OPCs as the super antioxidant, are 20 times stronger than Vitamin C and 50 times stronger than Vitamin E. Scientists publish more than a hundred of articles each year on OPCs as grape seed extract and pine bark extract for health benefits. OPCs have been the most researched supplement ingredient in the nutritional science. 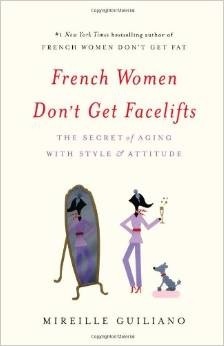 "French Women Don't Get Fat"
"French Women Don't Get Facelifts: The Secret of Aging with Style & Attitude"
5. Raw grape seeds and pine bark cannot be eaten and may be harmful to your health. In fact, they were traditional seen as wastes. OPCs were discovered in modern science and need special refining technologies to remove impurities. 6. You do not actually intake any OPC by taking fresh grapes as fruits. Grapes are little pellets of sweetness, even though it is not generally seen as problem of calories. A cup of grapes has 15 grams of sugar. To put that into perspective, three Oreo cookies have 14 grams. Some people can easily inhale an entire bunch of grapes. That’s around 310 calories and 75 grams of sugar! Human beings are facing challenges to cope with various diseases, but would not become distinct even under a hypothetic scenario of an uncontrollable spread of deadly viruses. This is because some people can survive on their strong immune systems, while people of weak immunity would be the priority of casualties and hardly survive. Natural supplements have been used for thousands of years in many cultures of both East and West to achieve disease treatment and prevention via a mechanism of optimizing the immunity. The US Laws do not recognize the roles of natural supplement, and further explicitly prevent selling natural ingredients for disease treatment and prevention. We, as US Citizens, have the obligations to obey the US laws, which require a disclaimer that natural supplement is not intended to treat, prevent or cure any diseases. To satisfy the legal requirement, we wish to make it clear that we do not sell our products for treating, curing, or preventing diseases, and we do not claim disease benefits for our products. While we have the obligation to follow the law, we have the constitutional right to criticize it anywhere and under any occassions: The law is contradictory to the fact that natural ingredients have been used for thousands of years in the human history for disease treatment and prevention. The US law may not reflect what the natural products can really do for human health. The US law causes confusion to the general public, and discourages the general public to access natural alternatives to achieve better health. In 1979, French scientist Professor Masquelier (1922-2009) coined the name "pycnogenols" for OPC from 3 sources, peanut skin, pine bark and grape seeds (Reference: Masquelier J, Michaud J, Laparra J, et al. Flavonoides and pycnogenols. Intern J Vit Nutr Res 1979;49:307-11). This world-prominent OPC scientist was, in heated and long-lasting legal battles, deprived of his right in the commercial use of the scientific name he created. An expert in this field states: “Probably no other nutritional supplement is promoted with as much zealous fervor and personal animosity as pycnogenol”. The legal system is often unfair and even ridiculous! The endless legal battles for more than two decades associated to PYCNOGENOL manifest the enormous commercial potential of OPC antioxidant extracted from the plant parts. The grape seed and pine bark are known to date to be the richest natural sources of OPC, and has been the extensive subject for biomedical research scientists to explore its nutritional potential. The US National Institute of Health Library at www.pubmed.gov documents 115 scientific articles on grape seed extract published in 2013 alone, a breakthrough of the 100 mark as compared with 93 publications in 2012. The data indicate that grape seed extract has become the most popular research topic in the modern nutritional science. In US, grape seed and pine bark extracts consumer products are available as dietary and nutritional supplement. The most noticeable brand is FrenchGlory®, under which two products isotonic OPC90 and OPC150 are offered. FrenchGlory® isotonic OPC contains 3 OPC ingredients, including grape seed extract, pine bark extract and red wine extract of the premium and unmatched quality made by native French companies. † These statements have not been evaluated by the US Food & Drug Administration. Copyright © 2010-2014 Isotonic OPC Antioxidants, Inc. All Rights Reserved.